Joey Jordison, songwriter and original member of Slipknot, has announced that he will be travelling the world with new band Vimic. With Jordison on drums, the band consists of four other well-known musicians; Kalen Chase Musmecci, who has toured with Korn, as well as three of Jordison’s former bandmates from Scar the Martyr – Matthew Tarach, Jed Simon, and Kyle Konkiel. After signing a deal with CTK Management, the band has already received huge support and will come together with Danny Nozell who was part of the Slipknot management team. According to reports, the band are already preparing for a release next year with a video and first single possibly being released next month. 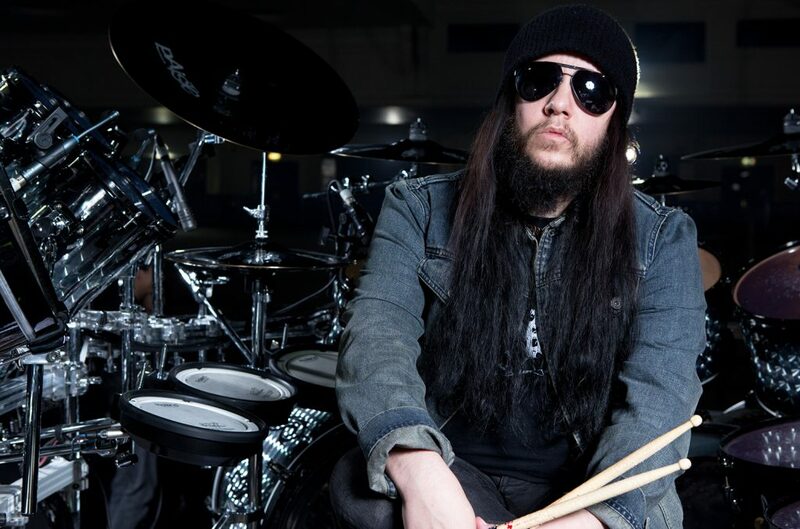 In a recent interview, Nozell said that it was his pleasure to work with Jordison once more and that he was looking forward to getting the band all around the world just as he did with Slipknot in years gone by. In addition to Nozell, Neil Warnock and Tim Borror from United Talent Agency will be looking after the group internationally and in North America respectively. By fans, media, and even fellow musicians, Jordison has long been considered one of the best drummers in the world and he has gained huge respect and recognition as a result. In particular, fans like to point out his unique style and pace when reaching the technical parts of a track which allows the rest of the band to experiment a little more. Not only was Jordison a founding member of Slipknot, he has also worked with other huge names such as Marilyn Manson, Korn, and Metallica. On a personal level, Jordison’s journey has been incredible and many expected him to retire after learning of his health problems. Not so long ago, he learned that inflammation in his spine was causing damage to nerve fibres and he eventually went on to lose the use of his legs. After months of rehabilitation, he regained strength in the lower half of his body and is said to be eager to prove his skills once more. According to Jordison, the fans have been sending him letters of support for a long time and even coming up to him on the street so he has spoken of his eagerness to get back on the stage. On Boxing Day, Vimic will start in Jordison’s hometown in Iowa before travelling on a handful of dates across the US. In February, the tour starts up again and sees them visit London, Manchester, Paris, Hamburg, Munich, Berlin, Madrid, Barcelona, Tilburg, Milan, Zurich, Stockholm, Oslo, and more. Later in the year, Vimic will also be jetting off to South America, Asia, and Australia. After 18 years together, Slipknot’s split and the firing of Jordison back in December 2013 hit fans hard and, undoubtedly, the band too. Luckily, music always prevails and we are due to hear new music from Jordison and Vimic very soon.